Just in: Osinbajo approves appointment of 19 national industrial court judges – Royal Times of Nigeria. 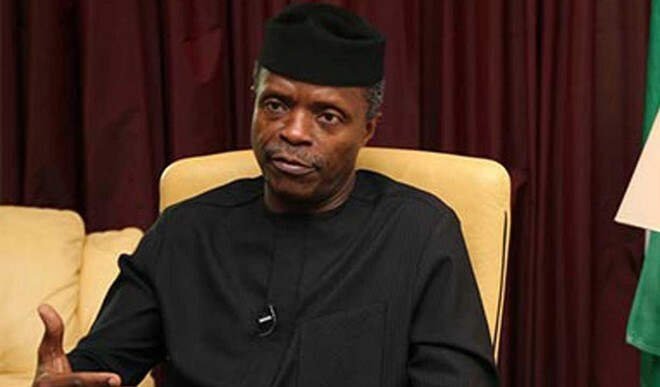 Acting President Yemi Osinbajo has approved the appointment of 19 judges of the National Industrial Court. The National Judicial Council had recommended the judges to the Acting President. NJC’s Director of Information, Soji Oye disclosed this in a statement on Tuesday. He said the new judges appointed from 19 states of the federation would be sworn-in on Friday. The judges are: Targema John Iorngee (Benue), Namtari Mahmood Abba (Adamawa), Nweneka Gerald Ikechi (Rivers), Kado Sanusi (Katsina), Adeniyi Sinmisola Oluyinka (Ogun), Abiola Adunola Adewemimo (Osun) Opeloye Ogunbowale (Lagos), Essien Isaac Jeremiah (Akwa-Ibom) and Elizabeth Ama Oji (Ebonyi) .